If you read my last post on my Superdrug purchases then you will have seen I bought a few of their sheet masks just to see what they were like. They’re in a 3 for 2 offer at the moment and cost £1.29 each. I’ve seen a lot about sheet masks from Asian beauty brands but haven’t seen any in the UK, so when I saw these on the site I had to get them. 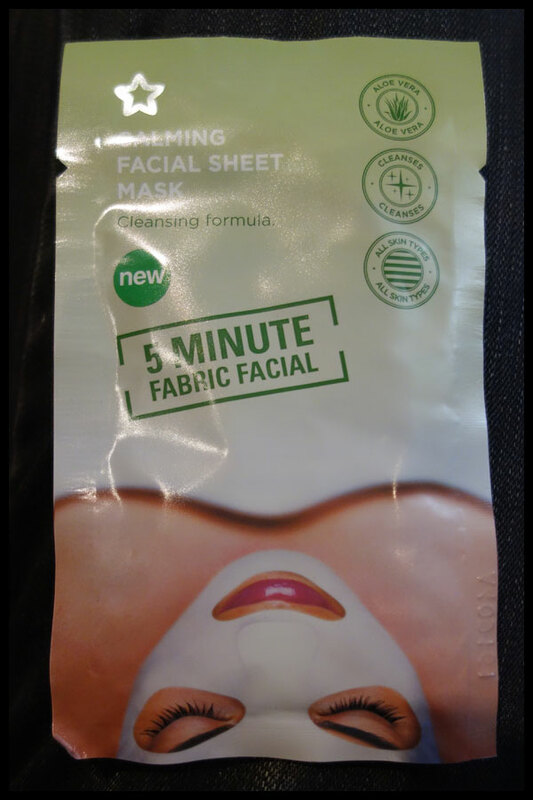 This is the Calming Facial Sheet Mask, it says it’s a cleansing formula and contains green tea, cucumber and aloe vera juice. As these are fairly calming ingredients that I know have worked for me in the past and it says for all skin types I thought this would be a good one to start with.